A gripping story with interactive elements, ETHAN CONRAD marrys up the best of both the the television and games industries to offer an experience that brings the player in the world of ETHAN CONRAD and lets them experience the pain of Ethan through his eyes and experiences. 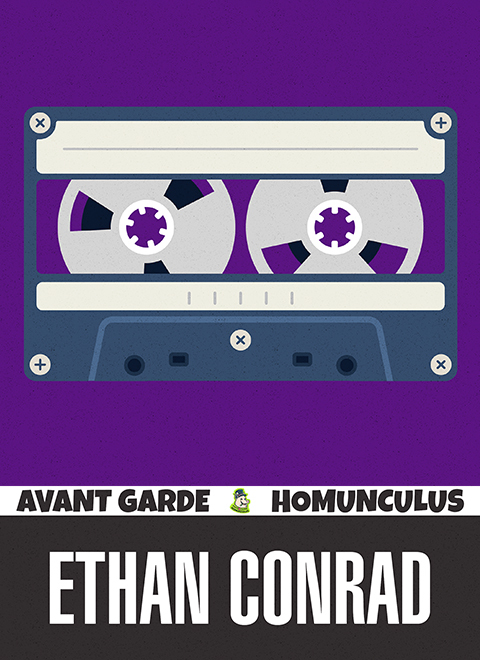 ETHAN CONRAD is the working title of Avant Garde Homunculus' first commercial title, an Adventure++ title planned for release on PC, Linux, Nintendo Switch and Android devices. Adventure++ has a basis in Adventure games. Hence the "Adventure" part. Adventure games were great and timeless but well… ironically, they are not so timeless anymore. Compared against many games today, their flaws begin to unravel. "Moon logic" (Puzzles that make no sense), long-drawn out cinematics, lack of gameplay, super linear "gameplay" and many, many other problems add a layer of soot and dirt to the genre once known as Adventure games. We're not trying to reinvent the wheel here. There's no point kidding ourselves that we are creating something revolutionary and mind-blowing, we simply don't have the budget or industry presence to do that. We're just taking things that worked well then, giving it a bit of spit-and-polish and chucking it into a pit of hellfire to produce something a little unique, a little bit special, a little experimental but 100% Avant Garde Homunculus. Tl;dr - ETHAN CONRAD (tbd) is an Adventure++ (tbd) game (tbd) for PC, Linux, Switch and Android that is a FMV / fully-hand animated rotoscoped adventure with actual gameplay in it. Hello people of all ages, creeds and fetish orientation. It has been a while, hasn’t it? Apologies for going dark. We’ve been deep in the depths of hell, working hard on something special for you all. So get comfortable, wrap up warm, re-heat your cocoa (or whatever weird ritual you perform when you’re preparing for story-time) and get ready for a stripped bare-naked developer log for our fancy-pants Grandé-with-cream title ETHAN CONRAD (working title, don’t sue). I see you there - scratching your head, asking "what the heck is an Adventure++ game?" Well my hungry looking amigo, it's the working title (Yeah, we have a few of those at the moment) of the genre that ETHAN CONRAD (working title) fits into. Don't get me wrong, some of my favorite games of all time are Adventure games (with Grim Fandango being my #1 game of all time), so I understand the genre well and miss it dearly. I also understand the many shortcomings that generations that didn't grow up with them face when put in front of an adventure and so we aim to bring them to the modern-day. No, we're not pulling a modern-day indie developer move and making a "retro throwback" game that feels nothing like the source material and learns nothing from the years of game design advancements that have taken place since the game they're ripping off was released. Screw that. We're not here to make "Monkey Island but worse". Instead, we're taking the little nuggets of gold that the Adventure genre provided and mixing it together with all the baskets of gold that modern game design has blessed us with before throwing in sprinkles of other genres into a broth that we hope you'll feel tastes extra delicious. A perfect way to introduce AvGaHo to the world. But I'm getting sidetracked. Let's push the marketing buzzwords aside for a moment and talk about what ETHAN CONRAD is at the core. ETHAN CONRAD is an Adventure++ game, we've sussed that out at least. It is a fully hand-rotoscoped adventure-style game with - get this! - actual gameplay (sorry, I couldn't help myself). The game utilizes a single-shot style camera, which when combined with the hand-rotoscoped art-style… it's going to be one hell of a mission to pull off. But we're up for the challenge! In terms of gameplay, there will be puzzles. Adventure games thrived off puzzles, so Adventure++ needs them. But Puzzles != Gameplay. We have an interesting plan for actual game gameplay - you know the part about games people care about these days, that we'll talk about as this development log series continues. Got to keep you coming back, some way - right?! I think it's important to stress once again, we're know we are not going to change the gaming world here. This is not the plan for ETHAN CONRAD or Avant Garde Homunculus. We have a neat little idea, a dedicated team and all the time with the world. We've got a cool game that we're bringing to life and we hope that we've piqued your interest for the ride. Sounds weird but in a few more development logs should start to make more sense. The project is swimming along quite well. There’s been a lot of testing, figuring out what engine to use, what artstyle to go with, finding the fun .etc. At this moment in time, we’re working on a “vertical slice” to ship around for funding, as well as to give a glimpse into the bigger picture of ETHAN CONRAD. For this title, we’re using Unity3D, which (if you remember AvGaInvestigate you’ll know that Unreal Engine 4 is usually our engine of choice, considering our background) felt like the right fit for a data-heavy, video-heavy project such as ETHAN CONRAD. We’re using the latest and greatest RC of Unity (2018.1.0f2) and so far have had an absolutely swell time dealing with Unity. Herbert Cumberpots, our technical director — has made great strides on an engine agnostic video-event system, which is essential for ensuring dialogue, subtitles, game events and all that good stuff are synced perfectly to the video feed coming in. His system is working great and we’re putting together more tests to stress-test his system. 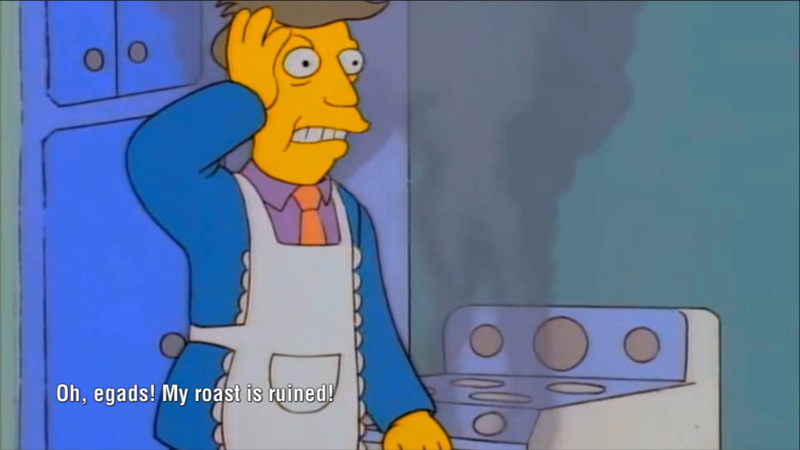 Fun fact (that you can use to prove you read Dev Log #1 of ETHAN CONRAD): For testing the FMV part of ETHAN CONRAD and Herbert’s system, we used the “Steamed Hams” Simpsons scene. Whilst making and breaking the in-game systems, I heard “Ah! Superintendent Chalmers” over 633 times. Herbert’s system has been working a treat and I look forward to putting it to good use effortlessly putting the animated scenes together. The script for the vertical slice (which covers the first 30 minutes — 1 hour of gameplay) has been completed as well as a general story overview for the remaining story beats. Once the vertical slice has been completed, the script will see a basic overview and the rest of the script will be completed based on feedback of the vertical slice. The script (to this point) has been written by yours-truly with a number of important treatments by Masafumi Mishima (our Creative Supervisor) and Victor Van Burgernos (our Professional Crybaby). The general flow of the start of the game / vertical slice at the moment is: Prologue (interactive dream sequence), opening cutscene, a website-style minigame, another cutscene, one more cutscene, a video-game within a video-game followed by an ending cutscene. Broken down like all official like that sounds boring, so you’ll have to trust me when I say what we’ve got at the minute is really motivating and fun to mess around with. So let’s talk about the video-game within the video-game mini-game game thing. Aside from the dialog / video system, this is what the main focus has been. It started with “What does a game within a game feel like?” and a hunt was on to find the fun within the idea. The basic premise behind this mini-game was that in ETHAN CONRAD, Ethan’s brother comes around and wants to play the game DunGun. Figuring out how to make this work both narratively and from a gameplay aspect was a challenge and the minigame as a whole has seen a number of prototypes. The first goal we had (besides finding the fun of course) was the fact we wanted to incorporate the second-player into the experience. We wanted you to play DunGun alongside Ethan’s brother. So we dove in blind with the mission state (Make a mini-game that was fun and had a second player AI) and we ended up with two viable prototypes. The first was a mini-game that ended up playing a lot like Kuri Kuri Mix (known as “The Adventures of Cookie and Cream” in America-land), a top-down-ish platformer. This was a fun little idea but we found that when testing on the more mobile platforms (read: on a Razer phone) that performance was hard to wrangle in and the limited screen space made it really hard to navigate. You have to remember that we were rendering two players on the screen and even though we were using techniques such as a Voroni Split Screen we simply didn’t have the screen real estate to create an experience that wasn’t infuriating. Couple that with the performance issues and we had to drop the prototype. On to the next incarnation. As screen real estate was a problem, we tried manipulating gravity. Player #1 would be in the “above” world and Player #2 would be in the flipped upside down “Below” world. Whilst we were putting the test level together, this prototype played great and looked fine on mobile. This is also the point where DunGun gained an Egyptian theme. Not quite sure why that happened but happy little accidents and all that. On mobile, this new prototype was much better performance wise and as we moved player #1, it felt right. The problems really came with the A.I player #2. With the upside down gravity and the A.I’s urge to always want to be well ahead or well behind the player, it quickly became a hot mess that we could no longer control. If the A.I decided to fall down a ledge, it’d fall up to the centre of the screen and mess with the camera. It would then break all of it’s navigation and have to be hard reset. No problem — I thought naively, I’ll just pre-record the AI’s path and let it follow that. That was before I realized that the fact I had to record every frame then poll these frames, play back — all whilst preparing the next frame… Yeah. That didn’t work. I fought hard but it was a losing battle. For every one issue I fixed, two other worse ones reared it’s ugly head and it quickly became apparent that it was time to come up with something new. We had some good ideas going with prototype #2 but things like the Voroni Split Screen system just weren’t working. Back to the drawing board! This time, I was thinking of the what the idea was at the absolute basics and then it hit me — why not just have both players move around in the first person — LSD: Dream Emulator style? We could still have the puzzles and the A.I but it’d be a lot easier to code, debug and performance wise — I could break all the systems down to the absolute core to reduce our overhead. Thus - the third and current prototype of DunGun was born. More work still needs to go into it but so far, this is the prototype that is sticking the most. It’s simple to understand, easy to navigate, runs fine on mobile, gives us enough screen real estate to play with and truth be told - I think I’ve spent enough time and effort into getting this thing (that people won’t be playing for more than five or so minutes) working. At the moment, DunGun III (as I like to call it) has had a minor art pass and some of the puzzles are in. The A.I is working fine and the level design has been a fun little challenge. At first, the player and A.I were technically in separate chunks of the level and given the illusion of being in the same place but inverted. This illusion quickly broke in sloped hallways and made it difficult for puzzle design (good puzzle design shows hints and let’s the player figure it out - you can’t do that if the player can’t see the reaction to their action!) and thus the level was reworked to have both players in the same space (with player #2 being on the ceiling). For now, DunGun III seems like “it” - the idea we were waiting for. Whether this remains the case… only time and aggressive play-testing will tell. It’s a nice little mini-game though and it doesn’t detract from the main game - so there’s no arguments from this end… yet. For those of you who know me from my previous work, you know that I have a disgusting perversion for good UI / UX. You can throw anything at me and I’ll have fun with it but when you slap UI on my desk, that’s when I put my war face on. Many, many innocent prototypes of the main menu system have been sacrificed in the hunt for the “right” main menu for ETHAN CONRAD. From minimalistic UI systems to balls-to-the-walls glitchy in-your-face video fueled menus have come and gone in the hunt for something to stick. At first, we had a “Slanted menu”. In theory, it was a nice idea. Each menu item would “pop” and would stand out from the other elements. In practice, it was a UX nightmare - snapping the user’s attention from one side of the screen to the other at lightning pace. Think of a spider on cocaine crawling all over your screen and you’ll have a good idea of how hyper-active this menu is. Again, good in theory — bad in practical. No problem, I’ll just try from a different angle. A handful of prototypes later and we’re in the “Lower screen” menu-era, where all the elements were in a neat horizontal box at the bottom of the screen. The “Lower Screen” era of the UI. Technically, it worked. It just lacked that “That’s it!” factor. There was nothing wrong technically with this design. It even had a nice title screen and an interesting glitchy transition. The problem was sometimes you have to take a step back and think "Is this really relevant to the project?". With UI, I like to tell a story. It sounds pretentious and arty-farty but it's true. This is one of the first things players are going to see - do I feel this introduces them to the world we're inviting them into to? I didn't think so. It was functional as a UI but it lacked that "Eureka!" moment that "FELT" right. It sounds strange because you can't feel UI but with this UI in particular, I wasn't feeling the connection. It felt close but wasn't quite close enough to the story I wanted to tell with this UI. A couple tweaks later and the "PS UI" menu was born (spoiler: The current menu UI we're using). Based heavily on the UI that features in the "settings" area on the Playstation 4 - the "PS UI" is simple, to the point and offers a unique yet comformative experience. The “PS UI” menu. Missing the concept art backing but it’s simplicity and comfortaty can kill. At this moment in time, the "PS UI" is missing the key-piece, the concept art in the background. As it stands, I believe it is an acceptable solution and gives me that "That's it!" feeling. Once the concept art is in, I feel it'll breathe new life into this simplistic but sturdy menu solution. No qualms from me! Aside from the menu shenanigans, I've created a temporary UI for the "Jukebox" - an area in the main menu where users can listen to unlocked tracks from the game. We'll talk about the music shortly but I feel the music we're using in ETHAN CONRAD is good enough that players will want to listen to it outside of the gameplay environment, so I set up this little area so they can listen to it in their own time. I've added little details to the "Jukebox" UI, inspired by games such as Metal Gear Solid: Peace Walker, where the background image of a cassette tape (remember those, kids?!) plays when the user is listening to a track. A lot of data is missing from the current implementation (such as current song playing, duration and all that good stuff) but when this UI gets revised, it'll feel a lot more like a jukebox and less like a debug menu. This is just the beginning of the fight with the UI and no-doubt most, if not all, of the UI elements will be refactored, restructured, broken and remade countless times. For now, I’m happy with how it looks and I’m excited to see what the future holds. Not many people know this but we have an in-house musician. Heralding from years stuck at the depths of the deep blue sea, Octowork Clocktopus is an extremely talented sound designer who has submerged to help us take ETHAN CONRAD to the next level. He's been working on an Egyptian epic for the DunGun minigame, which is coming together famously. As I have been tinkering with the genetic makeup of DunGun III, he's been poised with his ink-filled tentacles (I hope that's ink anyway) to make subtle changes to his composition to ensure it fits all the criteria of a song for a game within a game that's Egyptian but also not terrible. It's a lot of plates to juggle but I have faith in Mr (or Mrs?) Clocktopus and what we've seen so far has exceeded every expectation so I'm excited to see his work further into the project. I think next on his agenda is the "Main Menu" theme - no easy feat. This composition has to setup the scene for the rest of the experience and sets the stage for the story about to be told. It's not an easy task by any stretch of the imagination but I've seen Octowork pull more than a bunny out of a hat so I can't wait to see what he comes up with. As you can tell, we've all been extremely busy fighting towards the vertical slice of ETHAN CONRAD. It's a massive game and thus all hands and tentacles are on deck to bring the vision into reality. Within the downtime whilst waiting for the co-workers, I've been working on the platform agnostic achievement system. When you break it down, we're supporting Steam, Google Play, our own in-house achievement system as well as all the other little achievement systems floating around that are popular. It's quite a challenge to ensure the right achievement back-end is running and the user has been granted the right achievement at the right time and that it is all synced. I've been writing a generic Achievement system that supports as many Achievement back-ends as possible and even though I've grown a few grey hairs, I've been making great progress. At this very moment in time, we have working support for Steam, Google Play and our in-game achievement system. We know what type of system is on and from that, we can discern which achievement system should be on and from there, we can fire the necessary calls to give you the correct achievement for the right platform. The visual notification for the in-house achievement system (or the current test UI for it). It is frustrating because on paper it sounds so simple. Let me tell you - it really isn't. You have to sync local achievement progress with the cloud-based back-end services and ensure they don't step on each other and ensure the backends that aren't needed (or are not compatible with each other) do not end up in the cooked build for X platform… all in one monolithic C# file. I didn't forgo having fun with the in-house version though. As a team, we hunted high and low for the licenses for some… well known stock sound effects for ETHAN CONRAD. Why? I don't really know - what this means though is that we can do stupid things like that the DOOM door opening sound play when you get an achievement. FUN FACT: The first achievement in the game is triggered by doing something special in the main menu. Doing so might do something cool but our lips are sealed on how/when/what/why! Good luck figuring it out! Silly things like license hunting for some obscure sound that for a handful of people is going to sound really jarring is a perfect example of what we do where and what we're creating. This isn't a game to make us filthy rich (even though that would be nice) and it isn't a game to "get us known" in whatever scene is the "cool scene" to be a part of. We're making this game because we want to and it is a game we want to play. Because of this - we totally will have fun with it at every possible opportunity and we totally will go out of our way to fully realize things to the tiniest of tiny detail as it exists in our minds. If it gives us a cheeky smile, it's worth it and hopefully you'll feel that when you eventually play ETHAN CONRAD in the year 20XX. Figuring out the artstyle of the project (especially the FMV animated portions) has been the bane of my existence since the project began. We've tried hand-animated 3D animation, a mix of 3D and 2D, animé style 2D, cardboard cut-out ala South Park, Stopmotion and pretty much any other style you can think of - we have most likely experimented with. For now, it seems like we're headed down the rotoscope of video-footage mixed with 3D backgrounds path. It hits the right notes in terms of budget, time consumption and effort. Any of the other options would most likely have to be outsourced to hit the "right result" whereas I am confident enough in my rotoscoping skills that I believe I jump into the animators chair and get the work done. Recording the animations through a digital camera on a green screen. Importing this raw footage into Adobe Animate and rotoscoping "scratchy" linework at 15fps, with a brush size of around 8 at a screen resolution of 3840 x 2160. We're then coloring the finished roto (and lighting and all that fun stuff). We then dump those animated frames to an external video editor (After Effects, Premiere or Camtasia - we're not 100% sure yet). This gets exported as raw frames as well as a .h265 file. This then gets imported into Unity, properly named and then loaded into the game. It's a convoluded pipeline but I believe the effort is worth the artistic effect it generates. Think The Last Express' artstyle but with just a tad more frames and no skimping out on the in-between frames. Pipelines are something we all here at Avant Garde Homunculus are super passionate about. Without a good pipeline, your project isn't going to be realized to the fullest potential. In the future, I'll talk in depth about the pipeline we've put together for ETHAN CONRAD. Team communication - Discord (Hey, it's Slack but free. Why not take full advantage of that). There's a lot more to talk about but more importantly, there is a lot more work to be done. I don't want to take over your life with all these updates so I'll let you fly free little ducky. Until the next developer log that is! Hopefully this has been informative and has given you a glimpse into "what the hell has Avant Garde Homunculus been up to?". We're excited to bring ETHAN CONRAD to life and we hope we're piqued your interest! Thanks for reading you beautiful bastards and bastardesses' - see you in the next development log.